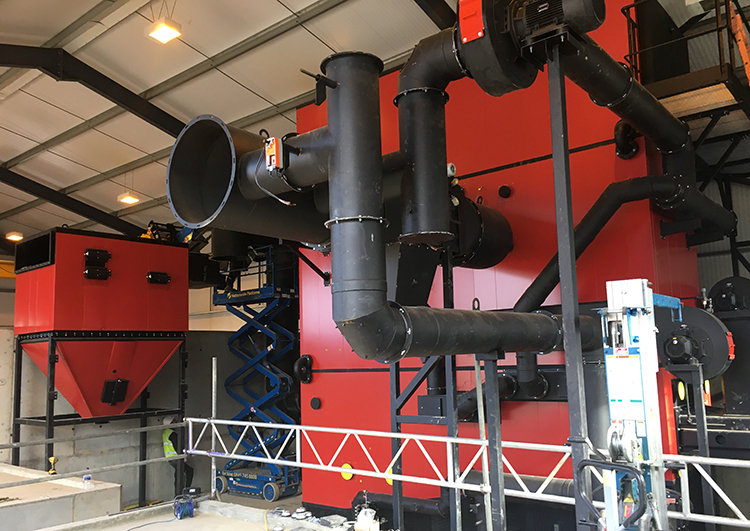 Using a Waste Incineration Directive compliant biomass boiler from Wood Energy Ltd for the drying of RDF/SRF is a great way of reducing disposal costs. It not only reduces the weight – saving up to 25% on disposal gate fees and transport costs – but it also improves the calorific value making the product much better for incineration and avoids irresponsible possibility of landfill. Wood Energy will be exhibiting at WASTE ’18 on Stand G at the custom-built Warwickshire Event Centre, in Leamington Spa on July 5. Calculations show if you are paying £90/t gate fees, drying 40,000 tonnes of RDF/SRF from 40% to just 20% can save you £900,000 per year – a 25% reduction for companies on gate fees. Wood Energy Sales & Marketing Director, Jeff Tomlinson said: “The result is even greater for companies that have grade B/C wood to dispose of too. “A gate fee of as little as £25/t for B or C grade will save you a further £81,000 per year, as you can use this material as fuel to power the boiler – that’s almost £1 million in savings per year, every year going forward. So why not call the biomass boiler specialists Wood Energy Ltd and arrange a meeting to create a bespoke financial model for greater profitability? Wood Energy offer in-house design expertise for boiler applications up to 10MW providing heat, hot water and steam for almost any application or industrial process; from the public to private sectors. The company’s team of skilled commissioning engineers have successfully installed over 120,000kW of renewable heating with more than 550 projects in their portfolio to date.